The Lofkënd burial tumulus (Fig. 1) in the Mallakaster region of Albania was jointly excavated by a team from the Cotsen Institute of Archaeology (CIOA) at UCLA and the Albanian Institute of Archaeology in Tiranë over four seasons (2004-2007), with a fifth season (2008) devoted to study. A preliminary report was published following the second season (Papadopoulos – Bejko – Morris 2007), and a final publication is now in preparation. The entire tumulus was excavated, uncovering 85 ancient and 15 modern burials, containing a total of over 150 individuals (Fig. 2). 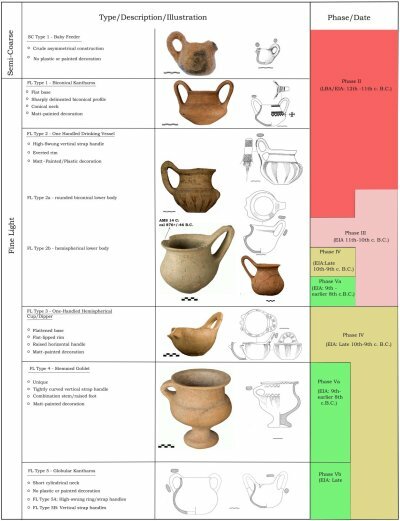 On the basis of the vertical and horizontal stratification of the tombs, together with secure AMS 14C radiocarbon dates from human bone and charcoal, the Lofkënd burials can be dated to the period from the 14th to the 9th centuries B.C., with ceramic vessels deposited as kterismata especially in tombs of the middle phases. FINE, SEMI-COARSE, and COARSE wares have been distinguished primarily on the basis of the size and abundance of inclusions and air pockets, but also of wall thickness and vessel size (Agolli – Pevnick, forthcoming). While silver mica occurs frequently even in the finest fabric, limestone, quartz, grog, and other inclusions generally increase in size and frequency in semi-coarse and coarse ware. FINE LIGHT FABRIC (FL) is generally yellowish red or reddish yellow (most commonly 5YR in hue), but it can be as light as yellow or very pale brown and as dark as red. FINE DARK FABRIC (FD) is usually black or very dark gray, though often mottled with reds and browns. Both of these fine fabrics are nearly always smoothed, with the fine dark fabric more frequently burnished to a high sheen. 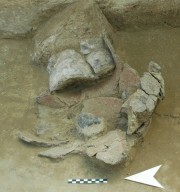 The reddish colors seen in patches on and just beneath the surface of some dark fabric pieces suggest that these apparently different fabrics might derive originally from the same or similar clay, with dark colors being produced by a reducing firing atmosphere, lighter ones by an oxidizing one. 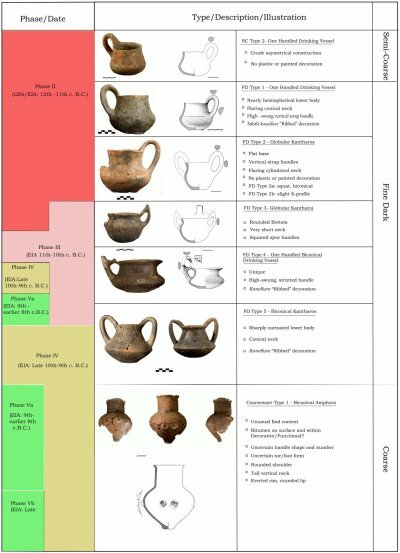 The typology presented here is based primarily on the complete and nearly complete vessels (Fig. 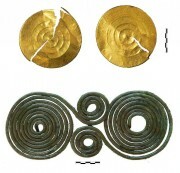 3, 4), along with many fragments found in grave fill, tumulus fill, and topsoil. With no known contemporaneous settlement sites in this or surrounding regions (even after multiple seasons of intensive surface survey), the Lofkënd material is crucial to our understanding of human activity in the formative period prior to Greek colonization. The shapes recognized in the main fabric types are presented in the following two tables. Most of the complete nearly complete vessels or profiles found at Lofkënd are small to medium in size, of fine fabric, and found in grave contexts. Those few that were not found in graves were probably once offerings as well, disturbed from their original contexts by digging for subsequent burials. 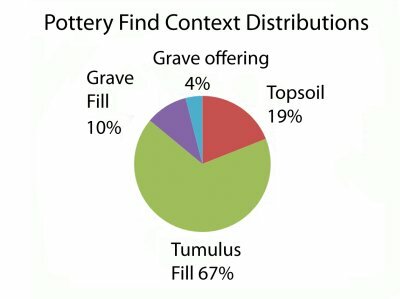 Many additional non-joining pottery fragments found in grave and tumulus fill, together with chipped stone and impressed, fire-hardened clay from wattle-and-daub architecture, suggest that soil from habitation sites—perhaps sites already considered ancient—was brought to the tumulus to be used in the burial of the dead. 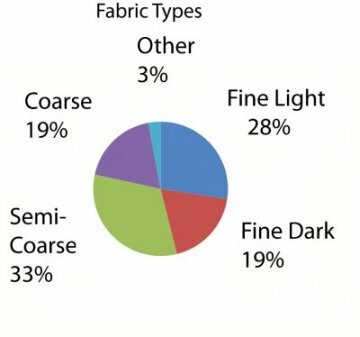 Although nearly all of the identifiable ceramic types at Lofkënd occur in fine fabric (whether light or dark), the total number of coarse and semi-coarse fragments actually slightly outnumbers the total quantity of fine pieces. Matt-Painted decoration is the most distinctive decorative technique in the Lofkënd assemblage, popular especially on Fine Light fabric vessels during Phases II-V (Fig. 6). Matt-painted decoration also appears on fragments of both Fine Light and Semi-Coarse fabric, but never on Fine Dark or Coarse fabric. Among the wide variety of different matt-painted motifs found at Lofkënd, the most common are horizontal bands around the neck and handles, and hatched or solid pendent triangles on the shoulders, particularly on small- to medium-sized drinking vessels. Pendent triangles also occur on body sherds from much larger vessels from tumulus fill, often on on body sherds from much larger vessels from tumulus fill, often on a larger scale and with different types of filling ornaments (e.g. cross-hatching or solid lozenges). 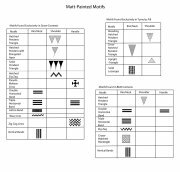 Plastic Decoration occurs much less frequently than matt-painting, primarily in two different forms almost completely restricted to the two different types of fine fabric (Fig. 7). On Fine Dark fabric one finds the so-called “kanellure” decoration, or fine parallel ribbing, which is contemporary to the matt-painted decoration but generally characteristic of tumuli in northern Albania. In Fine Light fabric a number of vessels feature small rounded projections (or mastoi) placed opposite the handle at the point of maximum diameter; although these projections usually number three, both at Lofkënd and at contemporaneous sites across Albania, one piece from Lofkënd features four projections. Projections and other types of plastic decoration, such as finger-impressed bands, also occur on fragments of semi-coarse and coarse ware. We owe a tremendous debt of gratitude to our many friends and colleagues at the Cotsen Institute of Archaeology at UCLA, the Albanian Institute of Archaeology, and the International Center for Albanian Archaeology in Tiranë, Albania. Special thanks are due to the three co-directors of the Lofkënd Project Professors John K. Papadopoulos and Sarah P. Morris of UCLA, and Lorenc Bejko of Tiranë University for entrusting us with this material, and for their invaluable guidance. Photographs are by Rich and Anna MacDonald and Ian Coyle, drawings by Ilir Zaloshnja, and the Tumulus Phase Plan by John Papadopoulos and Lyssa Stapleton. Agolli, E. – S. Pevnick, forthcoming. The Pottery from the Tombs and Fill. In: Papadopoulos, J.K. – S.P. Morris – L. Bejko, eds. 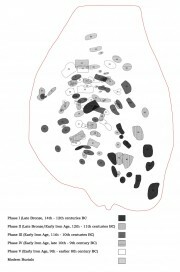 : Excavations of the Prehistoric Burial Tumulus of Lofkënd in Albania, Chapter 6. Los Angeles. Papadopoulos, J.K. – L. Bejko – S.P. Morris 2007. 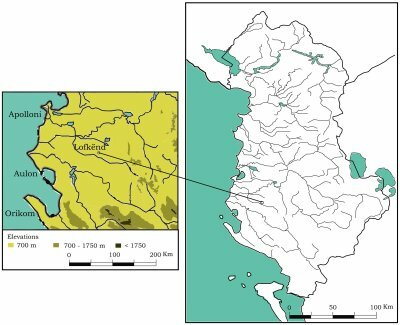 Excavations at the Prehistoric Burial Tumulus of Lofkënd in Albania : A Preliminary report for the 2004-2005 Seasons. American Journal of Archaeology 111-1: 105-147. 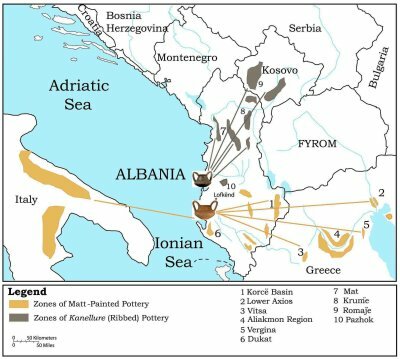 Seth Pevnick, Esmeralda Agolli, "Prehistoric Pottery from Lofkënd, Albania: From Bronze to Iron Age in the Balkans." 17 Feb. 2010. In: Horejs, B. - Pavúk, P. (eds. ): Aegean and Balkan Prehistory. http://www.aegeobalkanprehistory.net/index.php?p=article&id_art=18 (23 Apr. 2019).